These are all the Blogs posted in March, 2016. Up at 0700 to start the day... fairly long day planned with final destination Stuart, Florida. Just as we about to toss the lines a car drives up and a man gets out and heads toward our boat. 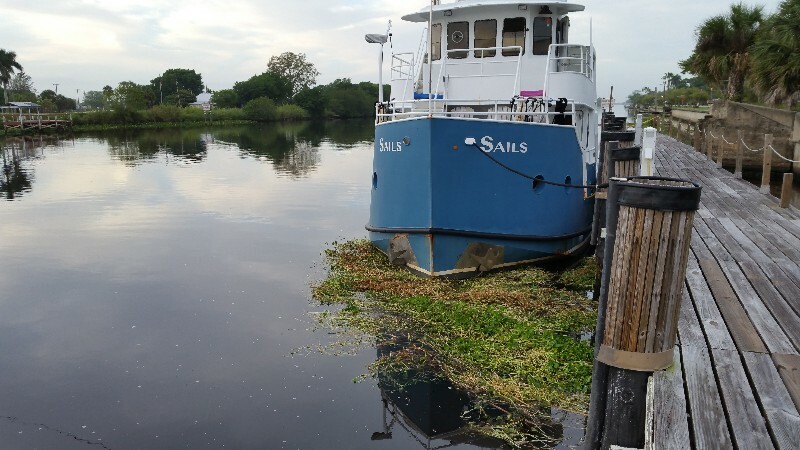 I wondered who could this be... Then I recognized him... it was Alan Reich our brother-in-law... Susan’s sister Lisa’s husband... he has customers in Clewiston and was driving over the bridge and saw us at the dock and stopped to see us... Cool surprise! 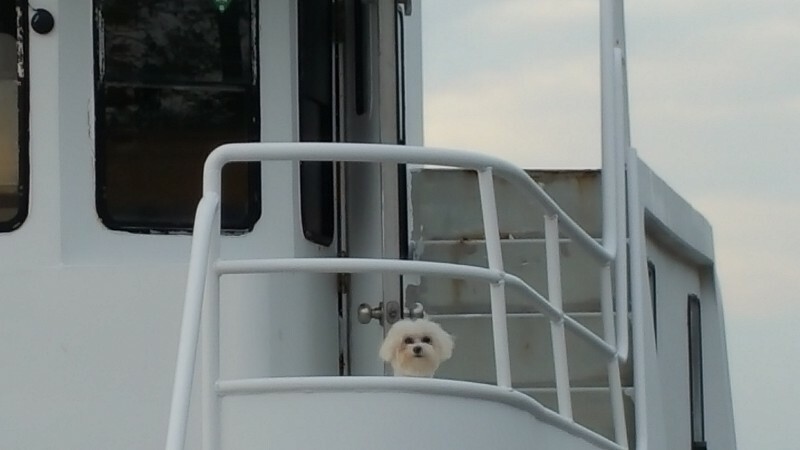 We departed the docks at Moore Haven at 0800 with Lily supervising the undocking from the pilothouse deck... most of the other boats that had docked near us had already left... the Moore Haven Lock opens at 0700 so guess everyone wanted to get through first thing. There were tons of water hyacinth floating past at the docks. They are still dumping water out of the lake and there was a good current carrying them past us... but quite a few had gathered at the bow of SAILS. Had to back away from the dock to get around them. Doubt they would of hurt anything but better safe than sorry. As we passed the boats ahead of us we noticed something floating by one of the boats... it was a dead alligator belly up... must have been 10 feet long… didn’t get a chance to snap a photo... it was pretty cool... never seen a dead one floating like this. We took a turn to the left a Clewiston and headed out into Lake Okeechobee. It was fairly windy with winds at 15 to 20 knots... the lake was a little choppy but not a bad ride. 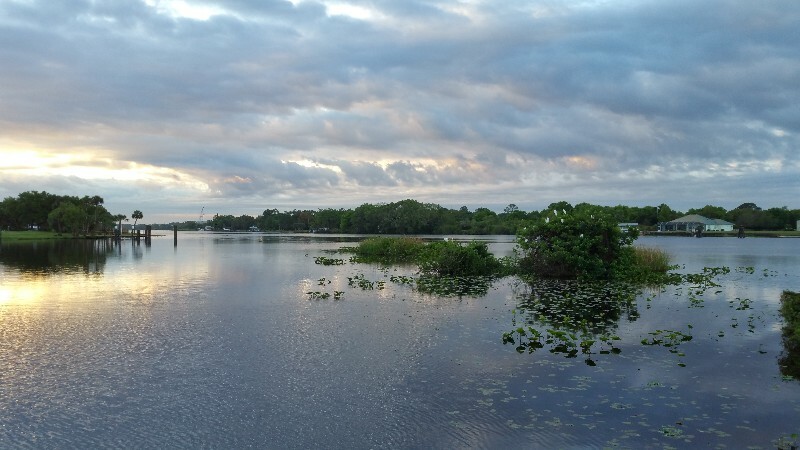 We heard several of the other boats on the VHF that had left ahead of us taking the rim canal past Clewiston avoiding crossing the lake... stating too windy and rough to cross. 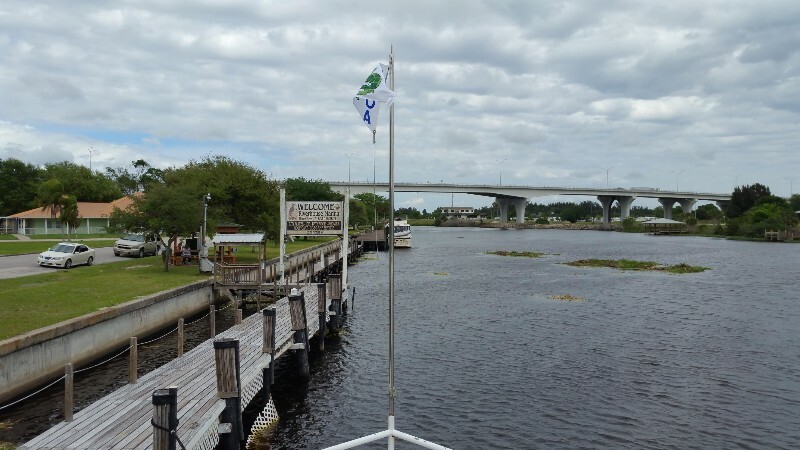 We crossed the lake and arrived a Port Mayaca Lock... it was operating and we were lowered a whole 6 inches... Next obstacle would be the St. Lucie Lock just before Stuart. Well, that is what I thought... we round the bend near Indiantown Marina to see the railroad bridge closing in front of us. It is normally open... not today... I hailed bridge on the VHF and said we were only 2 minutes away could he wait… NOPE, had a train coming.... So, we waited and within 10 minutes the train did show up… not really a train but an engine and one car attached. Cool... made the wait even less... 5 minutes later the bridge was open and we were back underway. 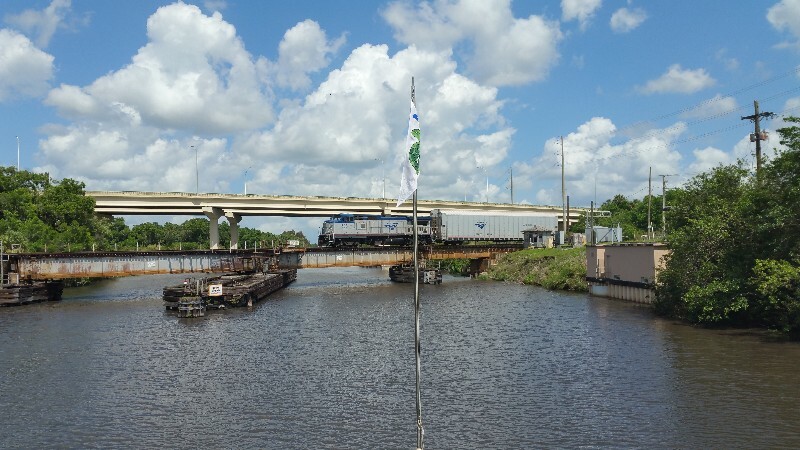 The delay was going to make it close in time to make the St. Lucie Lock by 1700 when they close. 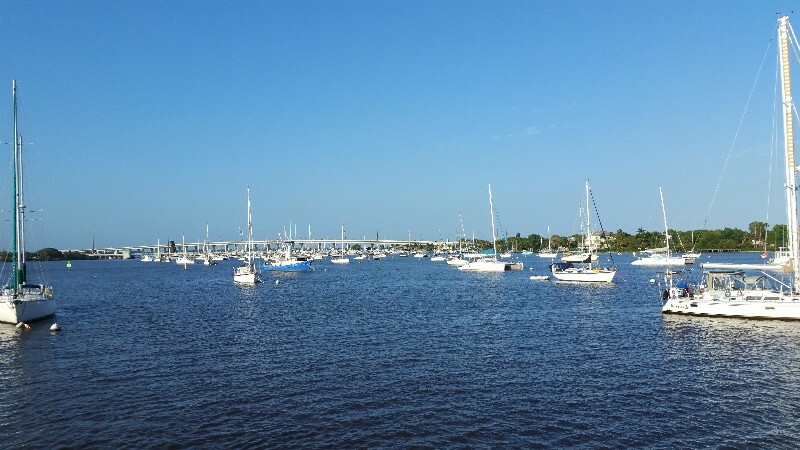 I pushed the speed up a bit and we arrived to the lock at 1645 and locked through dropping 14 feet to the level of the St. Lucie River. We arrived to our destination for the night and were secure on a mooring ball at Sunset Bay Marina at 1800. Our location for the night N27°11.710’, W080°15.787’. 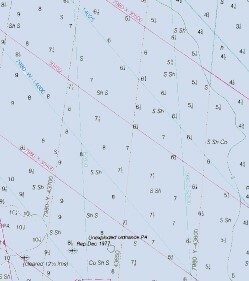 We traveled today for 10 hours covering 60.9 nautical miles averaging 6.1 knots. After spending two nice days at Franklin Lock Park we departed this morning at 0800 headed today for Moore Haven. It was a beautiful morning that soon turned to overcast and windy by mid-day. Winds were gusting up to 27 knots and steady at around 20 knots. Had three bridges and one lock to deal with today… two of the bridges… Alva and Labelle we can clear by lowering the antennas and mast… Fort Denaud is a swing bridge and we have to have it open to get through. 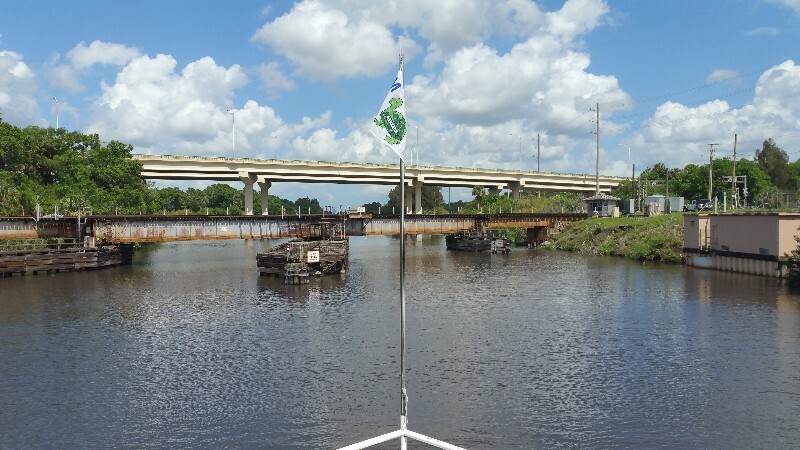 Ortona Lock is after all the bridges and was no issue today… lifting us I would guess around 8ft to continue on to Moore Haven. We did see a huge alligator just before the Alva Bridge crossing the waterway in front of us… estimate it was about an 8 footer. It’s neat to see them. Tried to get a photo but he ducked under the surface when we got close enough to take the shot. We arrived to our destination for the night and were secure with power connected at 1400. Riverhouse Marina. N26°49.857’, W081°05.445’. We traveled today for 6 hours covering 36.13 nautical miles averaging 6.02 knots. Layover at Franklin Lock Park so I could do some cabinet design work.